One of my blog Readers just alerted me to this relatively new novel by Peter DeCosemo which looks to be very entertaining. If you like science fiction and fantasy (which I do), military history (which I do), and horses (which I do), this looks like the perfect spring / summer read! You can find out more about the book at this website: Led By the Grey. Right now the book is not available in the US but can be ordered directly from the UK through the website. Another major attraction of the novel is that all procedes from sale of the Hardback will be to the Household Cavalry Casualty Fund. I’ll post a review after I’ve read it. Click on the link below for a compilation of some of the best cavalry related books and dvd available through amazon. This is entirely of my own making and really reflects what I enjoy to watch and read. The key word being ENJOY. 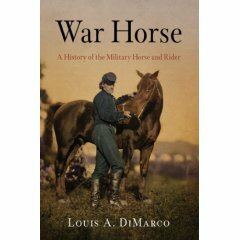 There are a lot more cavalry related books out there, but these are my favorites. Just finished reading Orson Scott Card’s science fiction novel, Ender’s Game. It is a recognized sci-fi classic and my intent here is not to review it. There are over 2,000 positive reviews of it on Amazon (as well as over 60 negative reviews) and I encourage that all who are interested in the book graze over what the Amazon readers have opined. Despite the few very critical reviews, I found the book a quick, easy, and interesting read. I recommend it strongly to those interested in sci-fi in general, military sci-fi in particular, and training military leaders. My interest in Ender’s Game is that it is a sci-fi novel that is mostly about training for battle. The actual war is wrapped up in the last 30 pages of the book. I think the important points that the book makes are about training; and the most important points about training that it makes are the importance of immersion in the training environment and the focus on creative solutions. It also makes the point that it is absolutely critical to focus on the development of individual leading and thinking skills. Acquiring knowledge, technical skills, and collective training are important but secondary educational requirements. The leader is the single point of failure in military endeavors. Knowledge, skill, and collective training mean little unless uniquely trained and exceptionally competent leaders employ soldiers and units correctly and most effectively. Ender’s Game makes the point that leaders make two vital contributions to military success: first, effective decision-making and second, maximizing the abilities and potential of subordinates. The most intriguing aspect of the book is the use of simulation and technology to train critical and creative thinking and decision-making. Written in 1985, this book advocates many of the training characteristics I did in my article “Training Tactics in Virtual Reality” ten years later. What I think is still frustrating to me is that, though I believe the technology is there to support it, the military in general still has not made the leap to using technology to train individual thinking and decision making skills. Much like my earlier comments regarding Star Trek, Ender’s Game demonstrates that military sci-fi can be a creative inspiration for how we should be thinking about and using technology to make our military more effective. Click here to go to Orson Scott Card’s Website.